“At the same time that we’re tightening the belt of the rest of government, the legislative branch sent me a bill to increase the spending of their branch of government by 14 percent,” Bullock said. 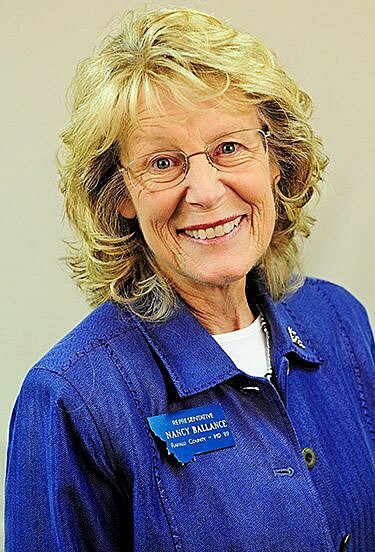 Republican Rep. Nancy Ballance, R-Hamilton, said she was blindsided by the veto. “Half of the amount that he cut was actually, he approved last session as an increase. He signed it into law. It was an increase for legislators’ stipend so that they could use it for travel,” Ballance said. The bill will now go back to the House and Senate to be read with the governor’s proposed amendments. 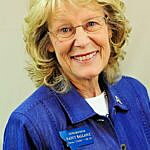 Rep. Ballance said the only alternative for them now is to reject the amendments. “In my mind it felt petty. It felt like something that was done for reasons other than fiscal budget structure,” Ballance said. But, the governor said the proposal to increase legislator pay is an irresponsible one during a time when the state is asking other agencies to make cuts. 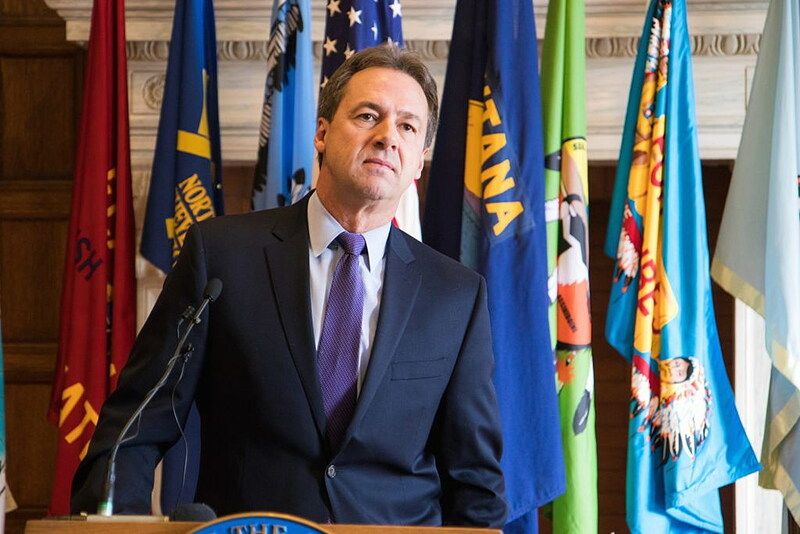 “I’m sending it back to them with a more realistic number, growth that matches inflation and growth that mirrors the moderate growth of the overall budget that I proposed,” Bullock said. 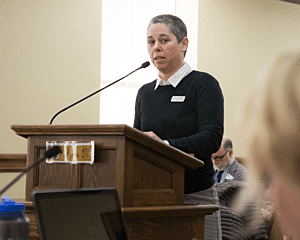 In the wake of reports of an increase in child abuse and neglect cases, lawmakers in Helena are considering a bill that would create a commission to review trends and patterns to share with policymakers. House Bill 303 also aims to educate the public and service providers about child abuse and neglect. Rep. Kathy Kelker, D-Billings, is the sponsor of the bill and said the issue matters to her most because of her former position as director for Head Start in Billings. Kelker shared a story about a girl in the program, using the name Mary as a pseudonym. “In a quiet, matter-of-fact voice, Mary shared that she liked to eat sand because it made her sick, and if she ate enough she would die,” Kelker said. After investigating, the organization found out that Mary was suffering from extreme abuse and neglect, Kelker said. Healthy Mothers, Healthy Babies representative Sarah Corbally said House Bill 303 echoes federal efforts to end these cases. “That it needs to be a proactive approach to prevent them, not this reactive approach to find new and greater punishments for these types of cases,” Corbally said. The commission would be made up of 17 appointed positions. Nine would be appointed by the governor and the rest of would come from the attorney general. “Altogether we’re talking about a fairly large commission, but the point is to be multidisciplinary with a lot of different viewpoints being represented,” Kelker said. Sen. Doug Kary, R-Helena, admits he, along with other lawmakers, have broken the law when filing campaign finance reports. That’s because current statute does not allow lawmakers to include their filing fees in their campaign finance reports. Senate Bill 3 would allow elected officials to include that fee in their expenditures. Sen. Kary is the sponsor of the bill and said legislators need to look beyond what their filing fees. He said since campaigns are not open yet, he can contribute to a candidate to file for office. “All campaign finances should be documented,” Kary said. Commissioner of Political Practices Jonathan Motl said however the committee votes, his office would enforce it. “It is up to this committee to decide whether or not you wish a filing fee to be a personal expense or a campaign expense,” Motl said. Motl said that in the summer of 2015 a complaint was filed with the commissioner’s office that candidates were filing those fees as expenditures. As a result, Motl’s office now monitors expenditures within the campaign finances. “We didn’t go retroactive with it. We understood the culture had thought that it was a campaign expense,” Motl said. The bill would make it easy to see how the money flows in and out of campaigns, Sen. Kary said. “This is a little bit of the dark money that, personally, I would like to take out of the equation. It’s very simple,” Kary said. 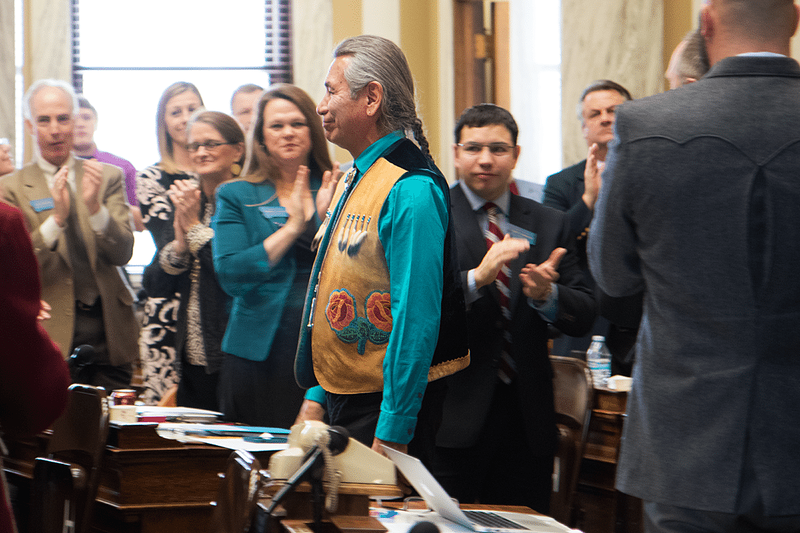 Confederated Salish and Kootenai Tribal Chairman Vernon Finley asked legislators at the State of the Tribal Nations address last Wednesday to remember their collective history. He said he’s proud that despite national rhetoric, legislators are able to shake hands and disagree. 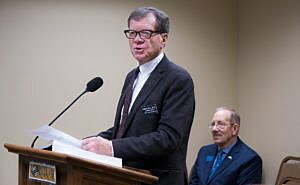 “Even though we have extreme right and extreme left in our state, that in the final analysis common sense usually prevails,” Finley said in the House chambers. He asked legislators to keep history in mind as they continue to deliberate laws during the legislative session. He referred to the state as a place where opposites are married. “Being able to shake hands with one another and disagree in a healthy way is a trademark of Montana that I’m always proud of,” Finley said. Finley praised Gov. 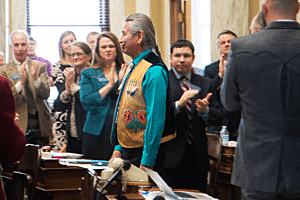 Steve Bullock composing his cabinet with the Indian Nations’ population representation in mind. He also praised the leaders of the state for standing up to an armed march in Whitefish. “The CSKT Council was very proud to join with them and denouncing hate groups,” Finley said. Freddy Monares is a reporter with the UM Community News Service, a partnership of the University of Montana School of Journalism and the Montana Newspaper Association.